Great Jumping Castle for those girls that aren't so little anymore! 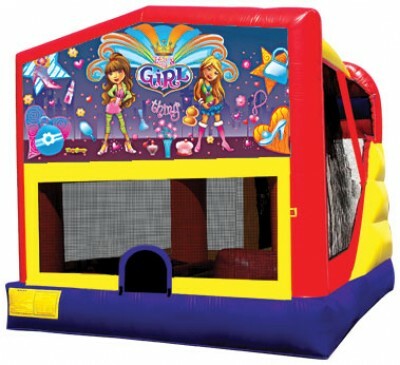 This is the super funky Girls Thing 3 in 1 Jumping Castle. Come with a huge jumping area (dance floor), slide and basketball/netball ring.